This classic textbook, widely used for over two decades, constructs a history of ancient Israel and Judah through a thorough investigation of epigraphical, archaeological, and biblical sources. Approaching biblical history as history, Miller and Hayes examine the political and economic factors that give context to the Israelite monarchy's actions and the biblical writers' accounts. 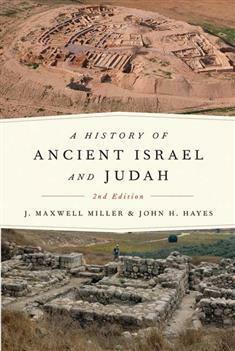 Now updated with the latest research and critical discoveries, including the Tel Dan Inscription, and considering the lively debate surrounding the reliability of biblical accounts, Miller and Hayes's judicious and even-handed portrayal gives detailed attention to the nature, strengths, and limitations of various forms of evidence for understanding Israel's origins and early history. The new edition also includes thirty-four new maps, helpful notes, and numerous charts and photographs.